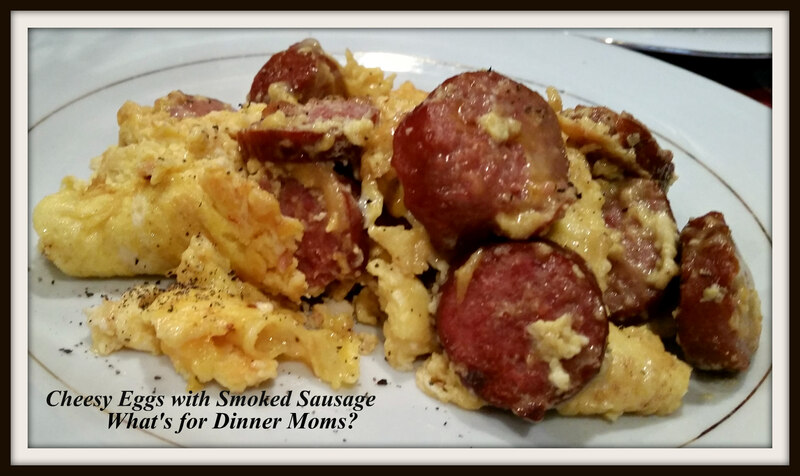 Cheesy Eggs with Smoked Sausage – What's for Dinner Moms? We have a busy weekend coming up. 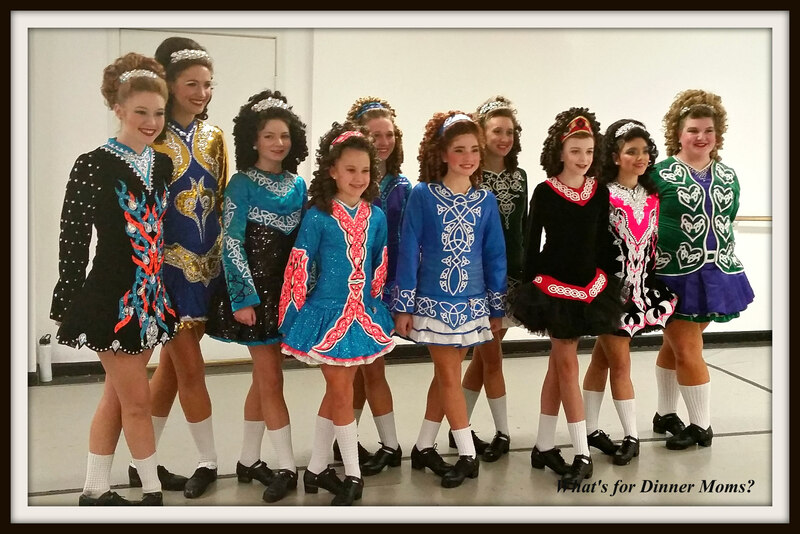 Last night was dress and wig check at my daughter’s Irish dance school for all the students going to Oireachtas (regional competition) in Chicago. We had to leave for dance earlier than normal. She is easily able to put her wig on now in the car but it was too dark to put her make-up on. I know, dancer problems. They are all excited for this weekend and I can’t wait to see them all dance! We are having an appetizer holiday! No real cooking. We are going to watch the parade, play games, and decorate. I love holidays like this! If you are too busy to stop by tomorrow I hope you and yours have a great Thanksgiving! Relax and enjoy those around you. Food is important but the traditions we create and the life happening around is so much more important. Some nights simple eggs are all we can handle for dinner. Trying to get ready for the holidays and all the food in the refrigerator leaves little time, room and desire to make a big meal. Thankfully my family loves breakfast for dinner. Recently a local grocery store had Oscar Meyer Hardwood Smoked Uncured Beef Sausage on sale so I had 2 packages in my refrigerator to use. Add some cheese, eggs, onions (optional) with some fruit and your meal is ready! I prefer this with a bit of onion fried with the sausage. My daughter doesn’t like onions (or nonions as she used to call them when she was little) so I made her a separate batch. The was hearty and delicious. Served with toast or biscuits and a large side of fruit salad it is an amazing, simple dinner! In a large skillet over medium heat melt butter. Add sausage and onion to pan. Saute until onion has softened and edges of sausage are just beginning to brown. In a large bowl beat eggs, half and half, and black pepper. Pour mixture over sausage and onions once they have softened. Sprinkle cheese over the top of the eggs. Stir continuously with a spatula scraping the bottom of the pan to avoid eggs from sticking. Cook until desired texture is reached. Next Post Thanksgiving – Looking for Some Last Minute Ideas? your daughter and her dance team all look so cute! the eggs and the sausages look really tasty and a quick fix is always welcomed in my hectic life! Thank you so very much! Hope you have a Happy Thanksgiving! What a fun menu! It will be like a party all day long! That’s what we are hoping for. A fun, relaxing day! Hope you have a great day!